Having previously hinted that an EP called Rapor was on the way, harp-plucker Active Child (a.k.a. Pat Grossi) has now confirmed the set arrives October 22 via Vagrant. The EP features six new songs written by Grossi at his home studio in L.A., also called Rapor, following the promotion cycle behind his 2011 debut LP You Are All I See. "The house is made up almost entirely of glass, designed by the architects Buff and Hensman as their personal refuge from the chaos of L.A.," Grossi explained of the locale in a press statement. "Inside the studio you can feel the sun pouring through the skylights and the mountains wrapping around on all sides. They named it Rapor, Ra meaning sun and Por meaning house. Sometimes I would spend weeks alone at home writing without leaving or having visitors. It was during those periods that I realized how important that space was to me creatively. I relied on that solitude." After this self-imposed period of exile, Grossi brought the songs to Burbank, CA's Heavy Duty Studios to work with producers Kevin Seaton (Major Lazer, Snoop Lion) and Nick Ruth (Mikky Ekko, Night Terrors of 1979). Additionally, he brought Ellie Goulding onboard to sing on "Silhouette," while Ekko appears on synth-pop jam "Subtle." You can stream the latter down below. Active Child also has a quick U.S. tour coming up, and you can see the date info beneath Rapor's tracklisting. 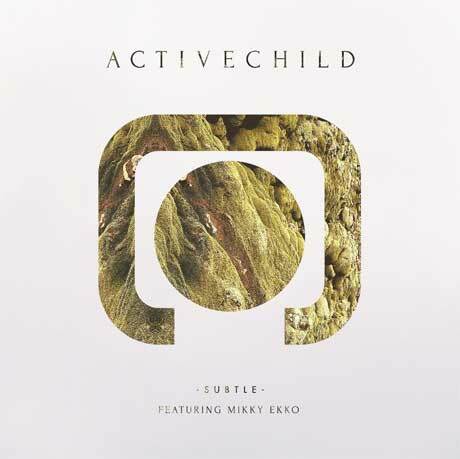 Active Child "Never Far Away"
Active Child "Takes Me Back (Until the End of Time)"
Active Child "She Cut Me"